I like viewing clouds from my windows at home. from one side or from both sides now. 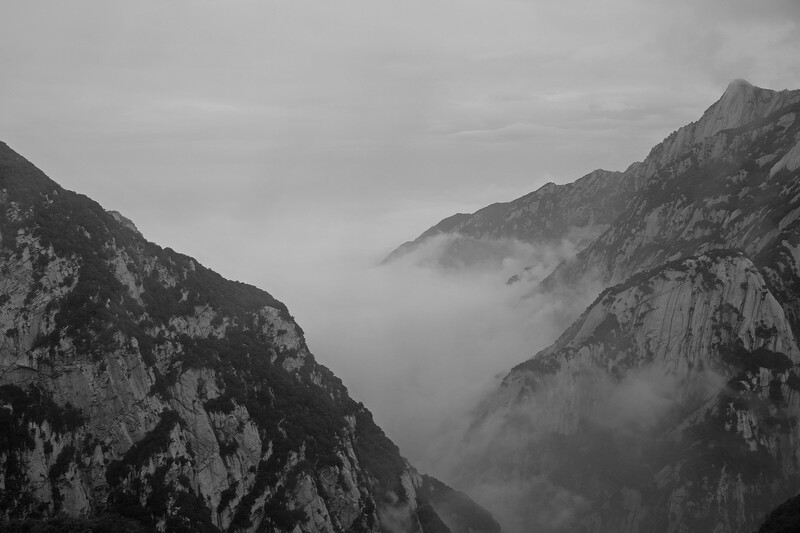 Here is a surrealistic view of the clouds from the West Peak of HuaShan, China. 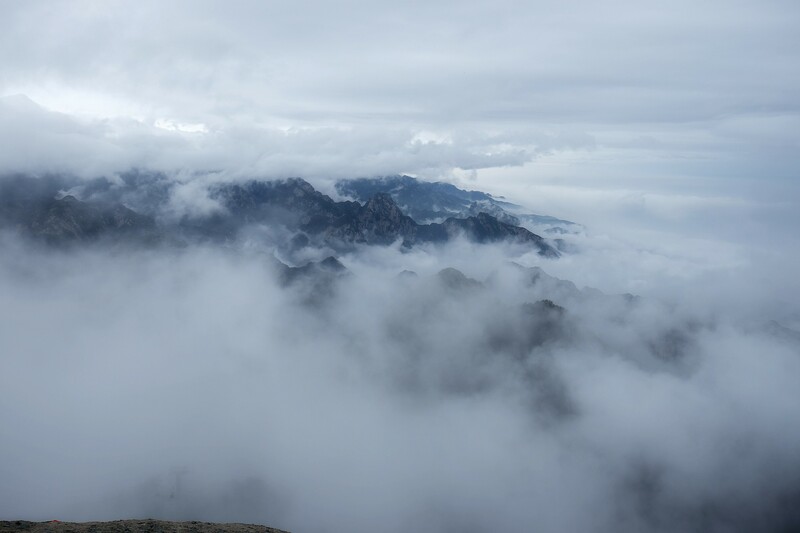 I feel blessed to be able to have such a view when it rained continuously for several days and the sky was overcast when we started to hike up the mountains. I told myself that I needed a break. Mom has passed away for over two months; I need to get away so that I won’t just sit here mourning over her passing. My wife has arranged this somewhat difficult trip for the two of us. We were to fly to Xi’an, China. The two main destinations that we were to visit included the Terracotta Army and the HuaShan mountains. 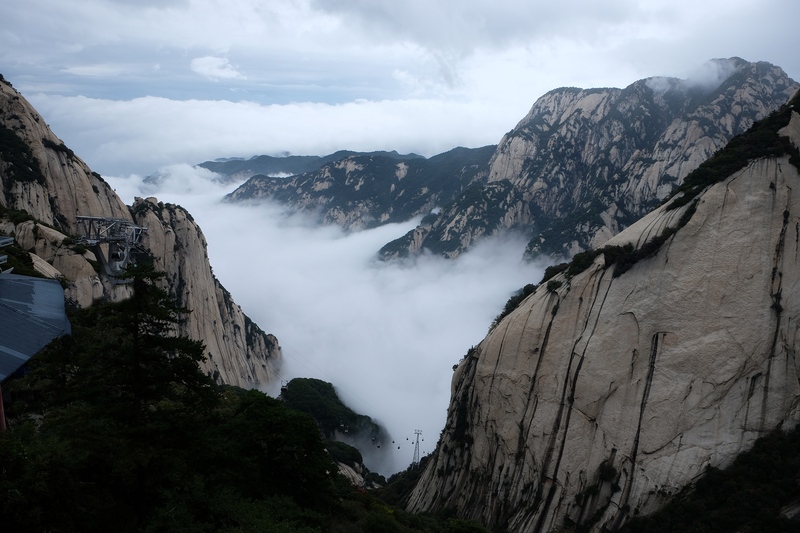 The HuaShan mountains are very steep with several of its peaks at over 2000 metres above sea level. 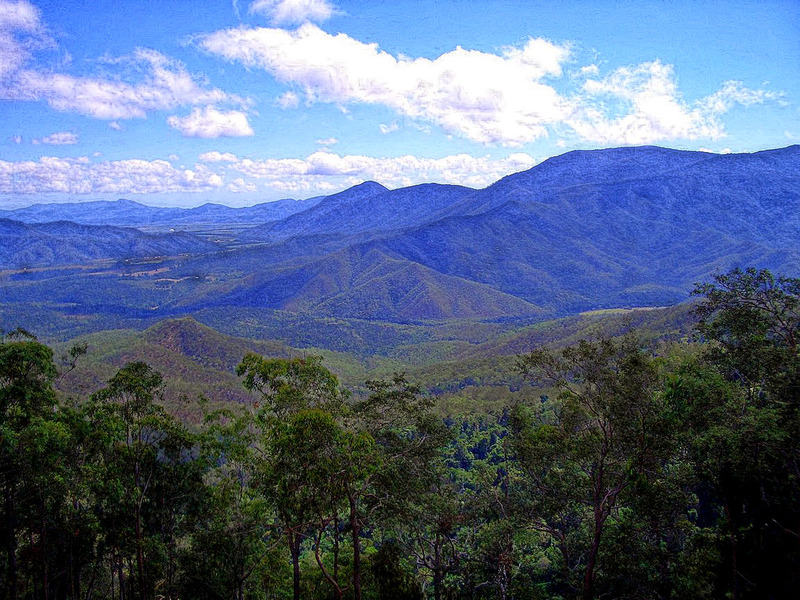 The lowest Northern peak reaches a level of over 1600 m.
The trails mainly consist of very steep and narrow stairways. The tread widths are very small, many visitors have to ascend / descend in a side way manner while holding onto steel chains mounted on the side. These endless steps continues for hours, overstressing the leg muscles. When we reached the mountains, the temperature was less than 10 degrees Celsius. It rained in the last few days and when we started the sky was overcast. The rain has made the steps and the narrow mountain rocky ridges slippery and very difficult to negotiate. What we didn’t expect was that the sky gradually cleared up and what appeared before our eyes was a sea of clouds penetrated by the mountains. We were there at the right place and the right time. The above is one of the many pictures with fascinating clouds I have taken; please enjoy.